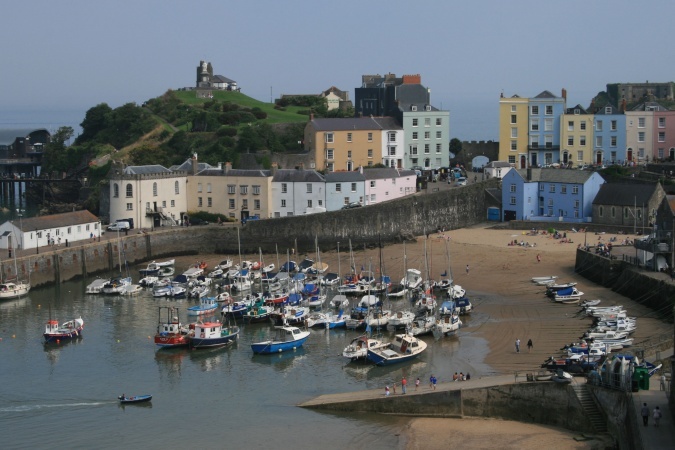 I last came to Tenby at about the age of 8, and all I can really remember is getting sunburnt. This time round, there wasn't much chance of that, but at least it was dry. On our first full day, we took the bus to Saundersfoot and walked back along the Pembrokeshire Coast Path via Tenby to Manorbier. A really good strenuous walk of about 10 miles. After a brief stop in Swansea for the 4th UK Geocaching Mega-Event, our last port of call before heading back over the Severn was Cardiff.